Designed for handheld stapling with a convenient stand-up placement option. 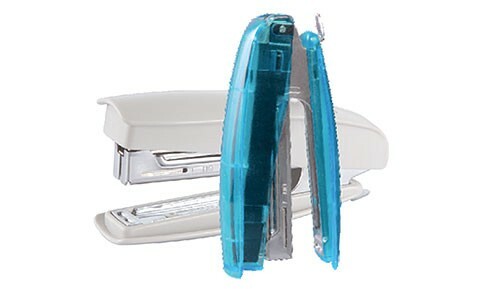 Full strip stapler with built in staple remover. Can be used for permanent stapling as well as for tracking. Indicate maximum insertion paper depth. The base length of depth is 63mm and breadth is 107mm.